It’s been 6-ish weeks and I am slowly coming out of the fog…boy has it been hectic, and amazing, and emotional, and amazing, and hormonal and AMAZING! We are so in love with our latest addition and would like to officially introduce you to Taiya Elise Douglas, born on the 17th January, at 8.54pm, weighing 7lb 2oz. 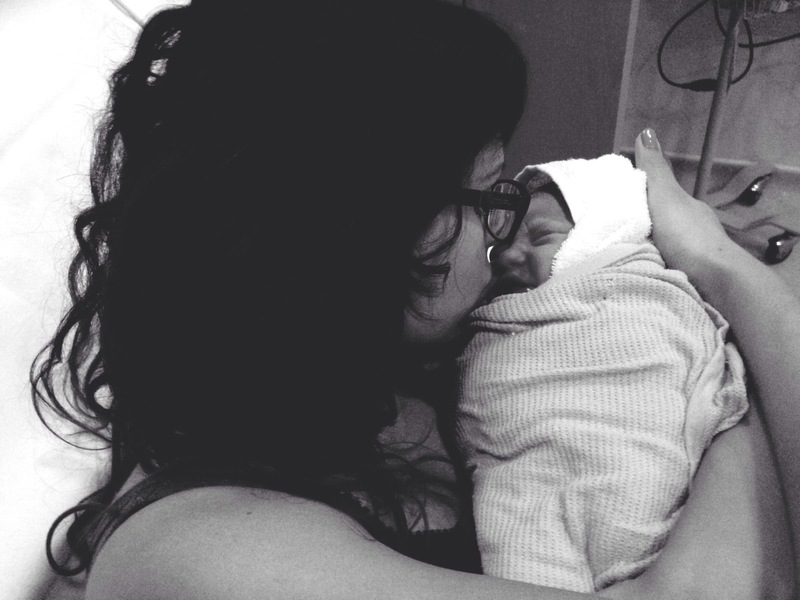 For all you hard-core readers, as promised and without further a-do, here’s my birth story 🙂 WARNING: If you haven’t already realised, I like to be very honest and open in my blogs. I will spare no details in this story, so if you are easily grossed out, or you don’t like the words dilation, poo, vomit…you should skip this entry and wait for my next blog! Right from the get go, I was dreading labour, much more than I was the first time round. The thought of it would almost give me panic attacks! I couldn’t talk about it, and I forced myself not to think about it. I guess it was the fact that this time I knew what was coming, and I wasn’t naive and unaware anymore. As far as labours go, my first was pretty good, but it was still such a traumatic experience that I was petrified of doing it again. As the days were drawing nearer and nearer, I was getting more and more anxious. I feared my due date, and was actually relived when I didn’t go into labour then. My only hope was that, when it did all start, adrenaline would take over and I would be able to stay strong and manage. And so it was. And it turned out to be so much better than anticipated…like a hundred times better! I was three days over-due. It was the only snowy day of the year (so far, apparently it’s going to snow again at some point soon! ), and Paul and Emilia were playing outside whilst I took a massively long nap. All I did in those last few days was sleep whenever possible, in the hope that all the stored up sleep would give me extra energy and stamina during the birth. That afternoon, at 3pm, I was sitting with Emilia on the couch, and she was flicking through this booklet all about labour and pain relief, etc Emilia’s taste in reading is very advanced for her age! Haha! I was telling her all about how there’s a baby in mummy’s tummy and she will meet her soon, and she was pointing to a photo of a pregnant lady when all of a sudden I heard two “pops”. I shifted slightly, and realised that it was as I’d guessed – my water had broken! I ran to the bathroom, leaving a very shocked looking toddler in the lounge, pounding on the door and shouting for Paul to hurry up! Paul’s face matched Emilia’s face and both of them stared at me with their mouths wide open! Once your water breaks, it can still take hours and hours for anything to happen. However, with Emilia things progressed fairly quickly, so I was expecting contractions to happen fairly soon this time around too. Within an hour, they were coming regularly, around 10 minutes apart. Paul dropped Emilia round to his parent’s so that I could get into the zone and wouldn’t have to worry about Emilia seeing me in pain. After my last labour, I realised that the key to staying in control and staying strong was to “get into the zone” and focus on my breathing, making every effort to relax. I dimmed the lights in our lounge, put on some music and candles, and started walking round and round. I didn’t want the contractions to stop, and knew that by staying as active as possible things would move along more swiftly. All my fear had gone, and I felt such calm and peace. We finally got to the hospital at 6.30pm. 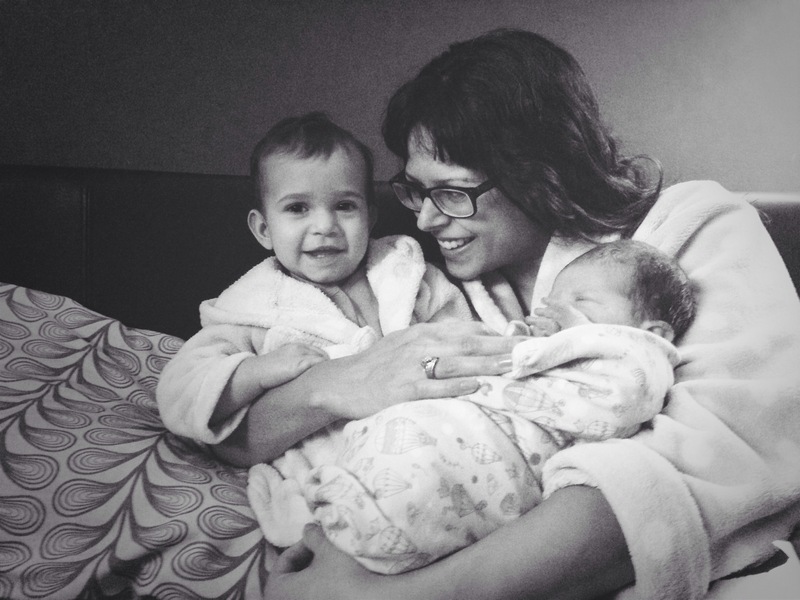 Unlike with the first birth, they took us seriously, and we were given a bed in the maternity unit straight away. I really wanted a water birth and was super thrilled when they said that it was available and they were just cleaning it. While we waited, we put on some music, and I carried on breathing through the ever increasing-in-pain-and-length contractions. By the time they examined me, I was only 3cm dilated. With my first labour, however, I progressed very fast and so I wasn’t as disappointed as last time! About half an hour after the examination my contractions started to get very painful and strong, to the point where I needed a pain killer. Last time, I threw up as soon as i took some codeine, so this time I was prepared and rammed down two snack-size snickers before taking it! Another half an hour later, I was asking for gas and air as the pain was almost unbearable. The midwife told me the birthing pool was just filling up, and wanted me to wait until I got in before starting on the gas and air. I complied, but five minutes later, I knew I couldn’t wait much longer. I started on the gas and air and although it hadn’t taken effect, just chewing on the mouth piece during contractions seemed to help a bit! Just as the midwife came back into the room to tell me the pool was ready, I had a massive contraction and (yes, I told you I wouldn’t hold back on the details) I am mortified to admit that I had a bit of a bowl evacuation (cringe, cringe, cringe!!!!). The midwife was incredible. She didn’t even bat an eyelid, and just matter-of-factly said that it was a great sign as it meant the baby was coming. As she took off my knickers and cleaned my bum (eeeekkk!!!! ), she said that she at least hoped I would have enough time to give birth in the pool! I hadn’t realised that I was so far along already, it all happened so quickly! We headed to the room with the birthing pool, and I almost walked out naked! I could not have cared less! All I wanted was to get into that pool! Luckily, I heeded the midwives advice and was half covered in a sheet, as a huge group of people walked past me. They were all trying to be polite and not stare, oh but stare at me they did! I must have looked a state as I marched past them with such sheer determination and desperation! As soon as I got into the pool I felt so much more relaxed. My back was in excruciating pain with each contraction, but the warm water really helped. Suddenly I started feeling a lot of pressure down below and the midwife told me to start pushing if I felt ready. As I started pushing, I am horrified to admit that the bowl evacuation resumed (*hangs head in shame*) and there’s more…I started violently vomiting! So not only was the poor student midwife fishing out poop with a sieve, she’s also trying to scoop out bits of snickers!!!!!!!! The midwife made a joke about it at least smelling of chocolate (she was a saint!). Paul kept telling me to keep my head above water, he was looking pretty disgusted, bless him, but I could not have cared less and told him so a few times! The gas and air finally kicked in, just as the head was crowning, and within two pushes, baby was born. During the whole process, the midwife never laid a hand on me and when Taiya was born, she simply pushed Taiya forward between my legs (I was kneeling against the side of the pool), and I got to pick her up out of the water. The first thing I said was, “Paul take photos! 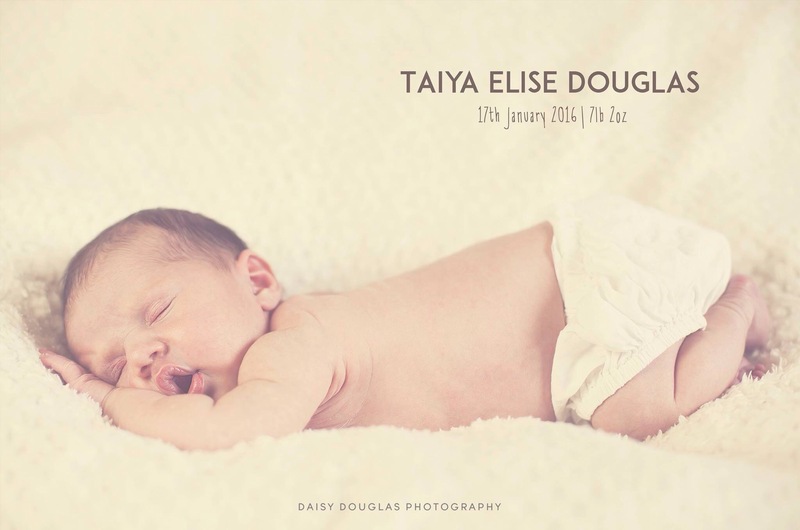 !” It was literally 30 seconds after Taiya was born…but as a photographer, I needed some photographic memories! That moment, when it’s over and you get to hold your baby, is one you never forget. The immense relief is indescribable. I couldn’t stop telling Paul how relived I was that it was over, and I also told him that I wasn’t going to do it again! Haha! Taiya was born within 20 minutes of getting into the pool, and active labour was only an hour!! It was 6 hours last time! At 8:54pm, we became a family of four and I got to hold my precious baby girl in my arms. As she locked eyes with me, I knew, that all my fears about not being able to love this little one as much as I love Emilia were gone, and my love had simply multiplied. I got to stay in the pool for an hour holding Taiya and waiting for the placenta to come out. Paul got to cut the chord once the blood had stopped pumping. When the placenta didn’t seem to make an appearance I got out of the pool and shortly after it was expelled. Thankfully I didn’t tear this time, I was overjoyed! Recovery from a tear is no fun! I also didn’t bleed much this time which was great. The whole experience was so much better than last time. Taiya’s first breastfeeding session lasted 40 minutes! She just went on and on, everyone found it hilarious! That girl is still a big feeder now, bless her! 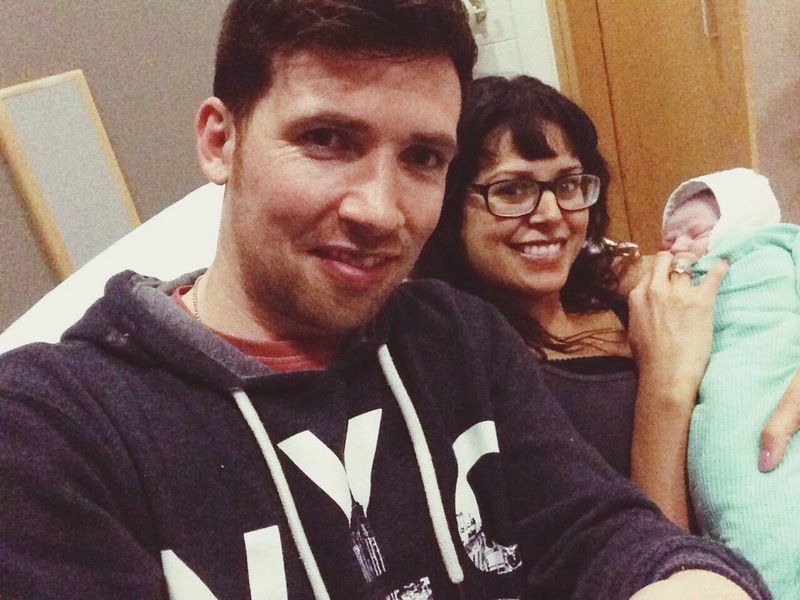 By 12.30am, 6 hours after arriving at the hospital, we were discharged and left with our brand new spanking baby! We made a vital stop at a McDonald’s drive through (the only place open for food at that time of night)! It was so surreal, eating our meal in the car, with this tiny new baby in the back. When we got home, I had a shower, and we got to bed around 2am, ready for Emilia to meet her baby sister a few hours later! I couldn’t have wished for better timing. I was so hoping to be home, so Emilia wouldn’t wake up without us there. Their first meeting was incredibly sweet. Emilia pointed to Taiya, shouting “baby” and then gave her a big kiss. Taiya had brought Emilia a few presents and had written her a card, and Emilia loved opening them. It was such a beautiful moment- the four of us cuddled up together in bed, savouring the newness and excitement together. It’s a moment I will treasure forever. 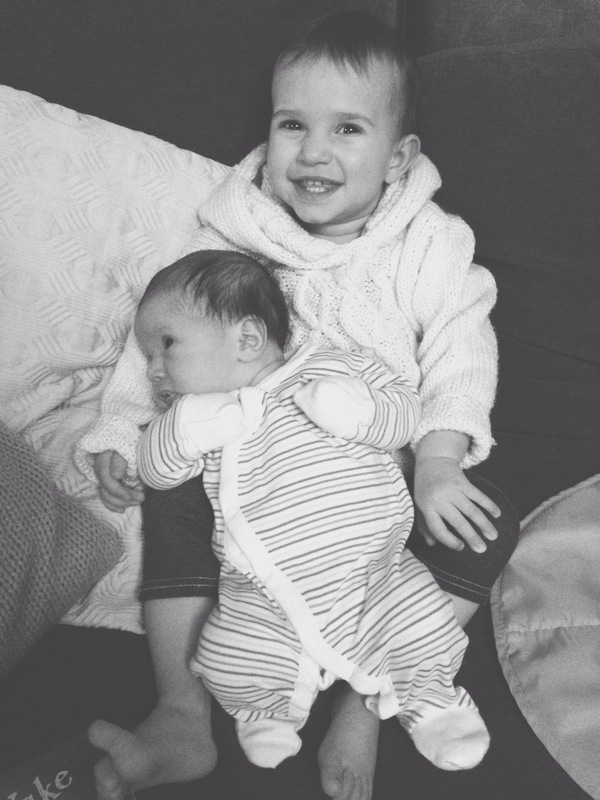 In the next blog, I’ll write a little about what it’s been like since then – adapting to the changes, having two under 2’s, and all the craziness that comes with it! 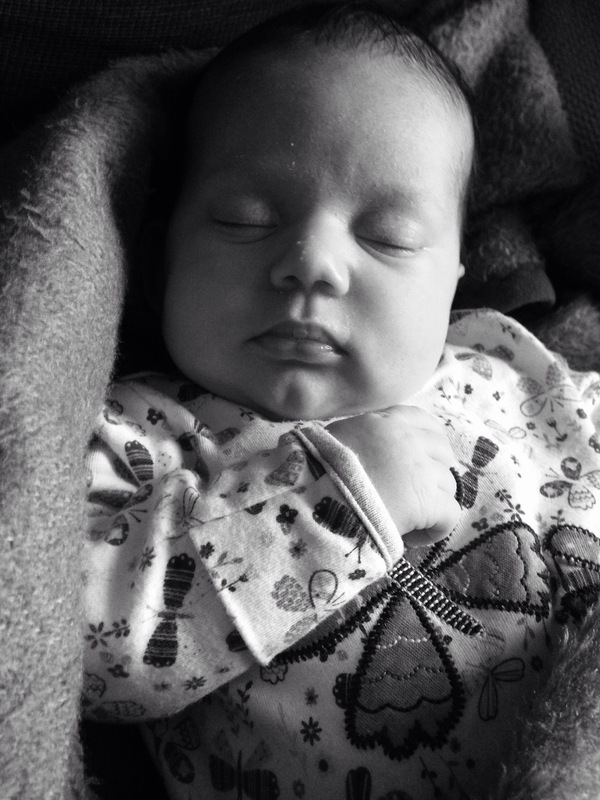 But for now, I will head off to feed Taiya who has just woken up…and I will count my blessings. I feel like the luckiest person in the world, having such an amazing husband, and two gorgeous children. Hopefully those warm thoughts will ease the night feeds tonight! !